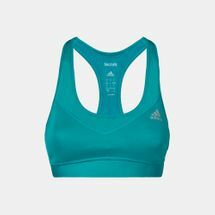 The adidas TechFit™ MC Bra is made with heat-reflective Climacool® fabric to keep you dry and cool. It has a mesh back insert with perforated cups for ventilation and quick-drying comfort. Ideal for training and running this bra provides medium bust support.